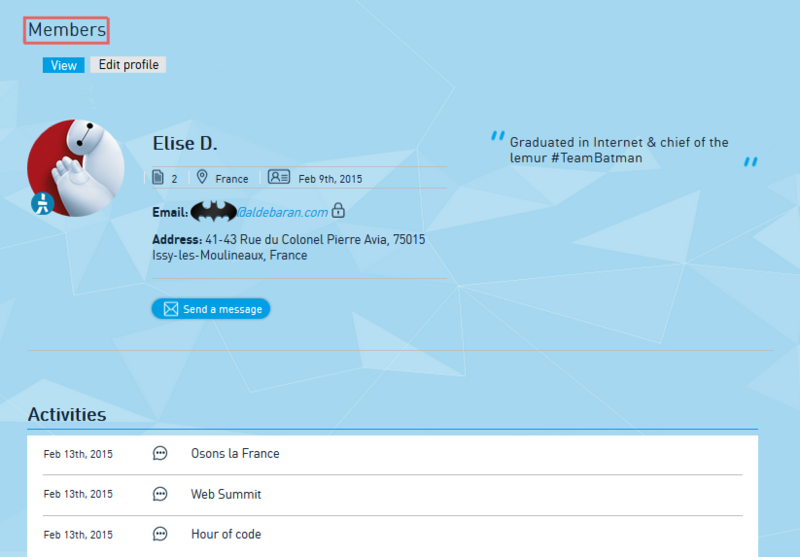 Tue, 10/03/2015 - 16:25 Elise D.
One of the main change in this new version of Community is your personalized dashboard. The point of it is to show you only topics you’re interested in. 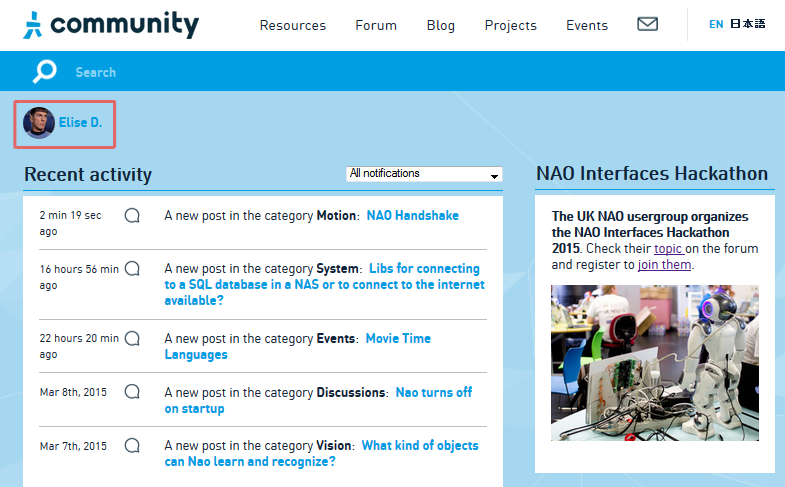 From the dashboard, you can have a look at the latest activities according to the threads and topics you have chosen to follow. Note that if you choose to follow the entire ‘Choregraphe’ thread, you will get notifications every time someone creates a new topic in it. However, if you follow a specific topic (like ‘How to get the definition of functions and variables’ for instance), you will only receive all the messages published in it. Follow? Every Community member has from now on his/her own profile page. From the Dashboard, click on your nickname and avatar to access this page. • Your location to appear on the Community members’ map (we will come back to it later, we especially love this one :3). Every profile also sums up one's activity on the forum, projects or events sections. Last but not least, you can send messages to whoever you want from the profile page. By clicking on ‘Members’ at the top of one’s profile, you can find the members page. This hidden treasure will reveal to you the transcendent size of our community (hell yeah). 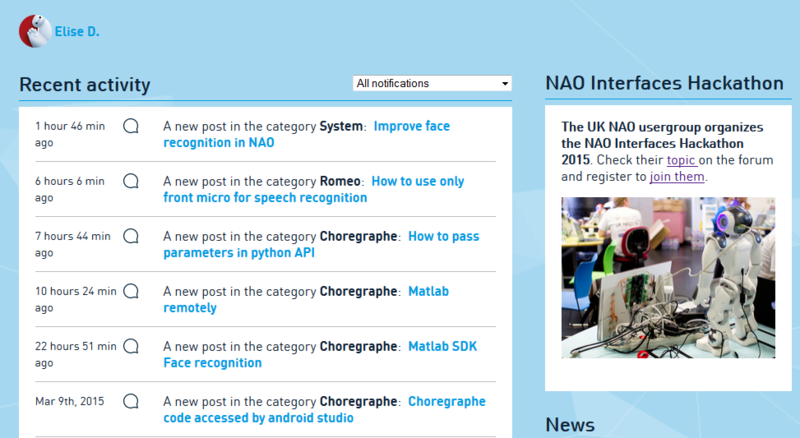 As you see, there are still a lot of NAOs on the members’ page. You can contribute to change that (even if we all really like NAO) by uploading a profile picture. To do so, click on ‘My account’ in the top right menu on any page and upload a new picture. 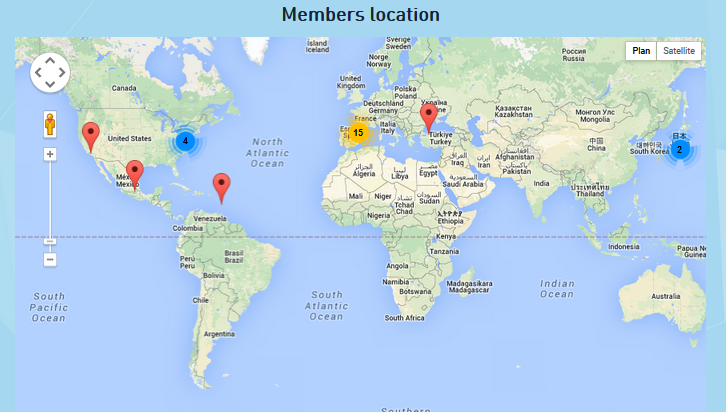 If you have filled in the location field on your profile, you will appear on the members map. 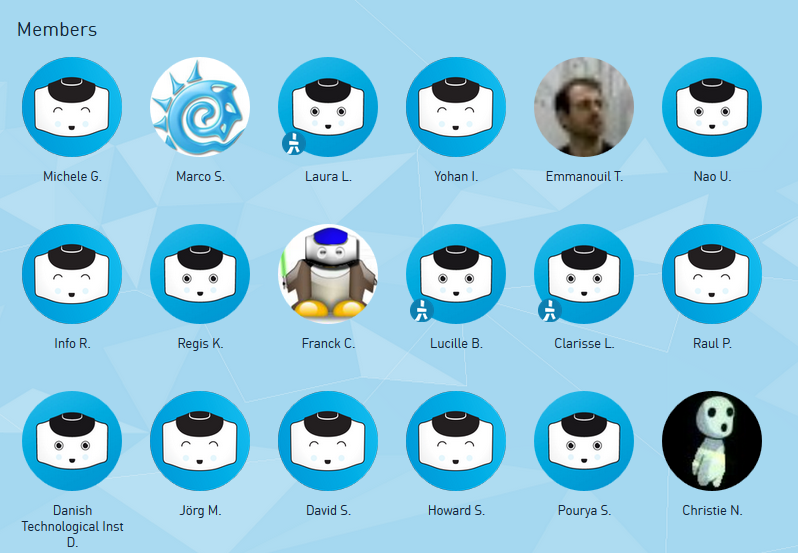 Don’t hesitate to have a look at it to find members close to you. Maybe you could meet new people and start a project or organize an event! 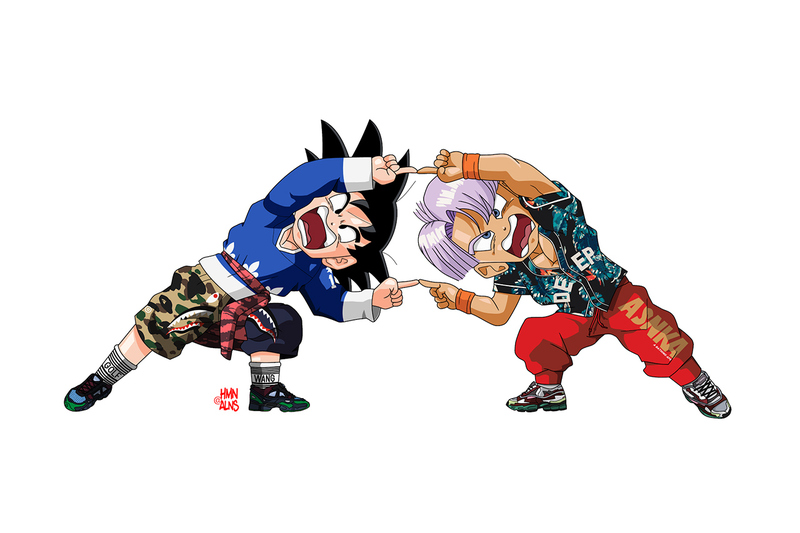 Here you go, you have mastered the first step of the Community. See you next week for the next episode.